Pics of your GT350 or S550 Mustang at the track! Discussion in 'Road Racing Forum' started by VoodooBoss, Dec 13, 2015. I like it and welcome to TMO. 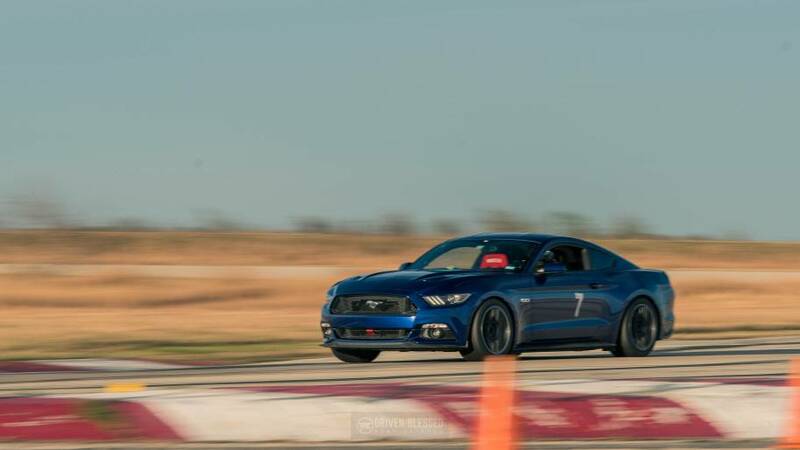 I think those are the first photos on TMO of a right hand drive Mustang on track! Yea it's amaysing how good these cars handle on the track, I had the FR3 suspension pack installed and it also has the PP brembo's with Hawk pads and stock Pirellie tires it handles great. foxcoupefan, OCPONY, DocWalt and 9 others like this. Nice, we’re there more Ford’s than Audi’s? And who let that V6 up front in the photo? JeffV8, DocWalt and TymeSlayer like this. The new suspension drop looks good! At VIR this fall with SCMC Cobra club. smallblock, TymeSlayer, JeffV8 and 2 others like this. A few more, including the return of the 21 Car. Love the heat haze out of the 121. DocWalt, smallblock, Fastfordnut and 3 others like this. TymeSlayer, RaiderJatt02, Nvrfinished and 3 others like this. Since I posted my GT350R track vid in the Boss302 track thread (oops), I thought I'd try again and say hi here. Noob here just getting my bearings as I get used to my 2018 Orange Fury. Here's a pic in the pits at Sonoma Raceway. Hope to see some of you out there at a track event soon! (NASA TT2 for me this year). Also a short video from inside at Thunderhill West. I have the sound-defeat plugs installed on this with an external GoPro microphone. Pretty quiet! I'm already on my second set of PSC2s and about to make my first brake pad change (adding Caliperfexion studs and trying G-Loc pads), so I'm also considering trying a different tire, maybe 305 Toyo R88Rs (but they seem heavy at 31 lbs each), or even Goodyear Eagle F1 Supercar 305s all around (100TW and 29 lbs). tracktardicus, DocWalt, Bill Pemberton and 3 others like this. I think the Toyo's are going to be slower than the SC2's. Unless you move to R7's in a 315 square setup the stock R sizes in the SC2 are going to be hard to beat if you're concerned about lap times. Dave_Car_Guy and Bill Pemberton like this. Voodoo is so right. The Toyos will be slower. Nice post and love the color of you Shelby R!! The Omega / Budweiser Balcony turns 3, 4, and 5 at different times of the day last month. One of my favorite tracks of the different courses I have under my belt so far. DocWalt, TymeSlayer, Dave_Car_Guy and 2 others like this. Thank you, that's interesting! I have been running R888s and Nitto NT01s on my Cayman for years, and I've loved them more than the MPSC2s, for slightly better lap times and noticeably longer life. But that a different car entirely, so it's good to know the SC2 is hard to beat. I do use the SC2s on another of my cars and it seems to be the best setup there. Also, for the 350R I had considered the Hoosier R7 as well, I wasn't sure they'd do far better on lap times. What's your opinion there... a couple seconds faster for the R7? (for example, at Laguna or Sonoma). And yes, lap time is my #1 consideration, longevity is #2, and price #3 (tied into #2, so let's call it price per track day). Can respond on your question concerning the R7s, as I have seen about 1 to1.5 seconds improvement with the R7s on the two main tracks I run. Neither is as high speed as Willow and they will wear quicker than the Sport Cup 2s. If it is a super hot day the Michelins may even be quicker , or equal, as it still takes longer for them to get greasy compared to the Hoosiers. Black Boss may chime in as he has run both tires quite often and he has experience on some high speed tracks - Daytona, Watkins Glen, etc. R7’s are going to be the fastest. The R specific tires are bespoke and work very well.